Ossi Saarinen has amassed hundreds of thousands of Instagram followers with his urban nature photography, most frequently featuring endearing animal photos captured in and around the city streets of Helsinki and nearby Espoo in Finland. In an antidote to the pressures of modern-day city life, the 22-year-old searches the city suburbs each week cultivating a portfolio of intimate, expression-filled animal portraits: "When I go outside, all chores disappear from my mind and I can relax, even when I'm taking photos. I love every single moment in nature," he says. Here, Ossi shares his urban nature photography story, from the first time he stood face-to-face with four fox cubs, to his rise to fame on Instagram (where he goes by the handle @soosseli) just a few years later. He even gives advice on how to build an Instagram following. Whether your closest green spot is a park or the shrubberies dotted around the city streets, Ossi's story and tips will inspire you to pick up your camera and capture the nature around you. With urban animals being less shy of humans than their rural cousins, you could find yourself face-to-face with the perfect subject sooner than you might think. When did you develop an interest in nature photography? "For as long as I can remember I've been very interested in nature, and especially in animals. Three years ago, when I was 18, I took my first photo and realised that I could record the moments that I cherish in nature." Do you think many young people photograph nature? "Yes. I think it's been growing in popularity very quickly – at least from what I've seen on Instagram, where lots of new profiles have appeared. People are becoming more interested in nature, perhaps because they see so many good photos out there. "I enjoy taking nature photos so I can save a moment to come back to later. And I like the challenge. Every day, I try to take a better photo than the day before." What kit did you have when you started taking photographs? 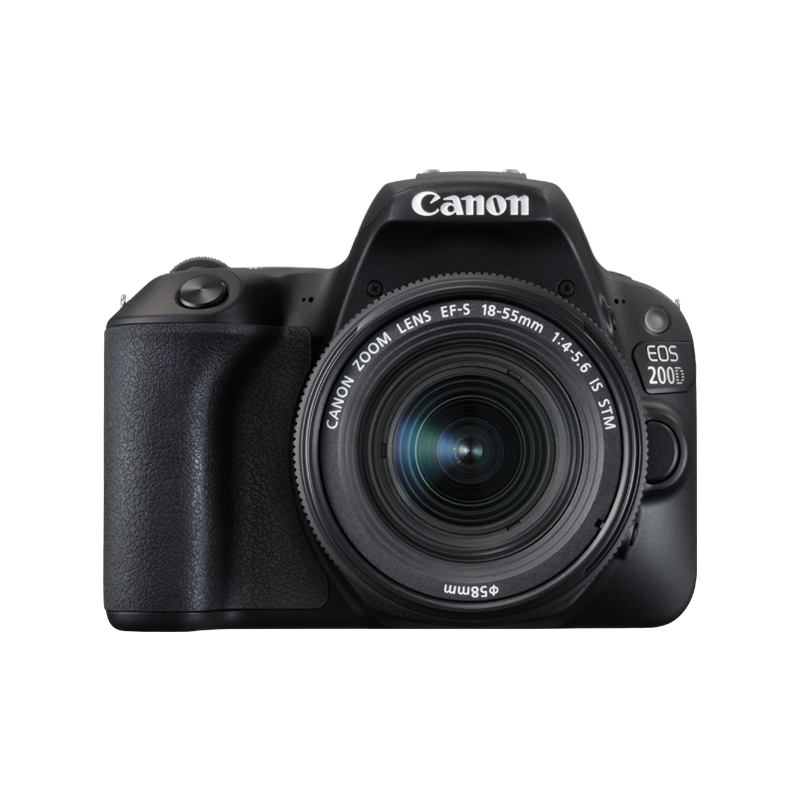 "My dad had a Canon EOS 100D and he lent me that. I used it for one or two years. I used a Canon EF-S 55-250mm f/4-5.6 IS STM lens with it, which was not very expensive. Now I have a Canon EF 70-200mm f/2.8L USM lens and full-frame Canon EOS 6D." You live in a city, so how do you find so many animals to photograph? "You don't have to go far to find nature in the city; in my old apartment in Espoo there was a fox den in my back yard, and even in the centre of Helsinki it's possible to see squirrels, raccoon dogs and owls. All kinds of places – even those with just a little bit of nature, such as some bushes and shrubs – will have animals gathering around. Even in the smallest parks, you can find wildlife." Have you ever used camera traps? "I once set up a camera trap in a forest near a fox den just to see how it worked, and because I wanted to see what happened there during the night. Besides that I haven't used them. I probably would use them more in the future if I wanted to photograph shy species in rural areas, but with city animals I don't need to use them." "My favourite photo was actually taken the first day I photographed foxes. I was driving through countryside and had planned to photograph some flowers in the early morning. But the flowers were closed after a cold night, so I decided to drive back home. On the way, I saw some small creatures crossing the road. "I wasn't sure what they were, so I parked my car and stepped out carefully, and saw the little creatures go under an old shed. I lay down a few metres away and waited to see what would happen. After some time, these tiny fox cubs came out. They weren't really afraid of me and they played around by the shed. I took maybe 200-300 photos there, and my favourite one is where there are four fox cubs in the same photo and they're kind of walking towards the camera [pictured above]. I think nature photography has made me patient – you have to be to get the shot." Your style is very distinctive – often with a shallow depth of field, at angles that make the subject look cute. Is this something you think about when you photograph? "I don't think about it when I take the photos; it's more when I choose which photos to share that I try to pick the ones where the subject is 'popping', almost as if it's dancing out of the background. I get this effect by using a big aperture, so the background is out of focus. "I usually use Aperture priority mode (Av mode) and set the aperture as big as possible, for example f/2.8, depending on the lens. Sometimes I use Manual mode, but often the light changes so fast, and the animals move to different places, so the Av is easier to use than Manual mode for faster responses. "At first I didn't try to make them look [cute] – I think it's because the tail of the birds is often not visible, so it makes them look rounder. I also often try to take photos where they stare straight at the camera. I take many photos at once and try to choose the ones that have a funny facial expression or quirk." For those considering whether they should buy a camera or use the camera in their phone, what would you say? "Phones can be OK for some landscape snaps but for photographing animals, you can't get that close with a phone's limited lens reach. Animals also move quickly, and a phone's camera is just not good enough to freeze the movement. And, you cannot shoot in the dark with a phone." What's your favourite piece of kit for nature photography? "I'd say the Canon EF 70-200mm f/2.8L USM lens, which I use with my Canon EOS 6D. The zoom allows me to photograph animals both near and a bit further away, and the f/2.8 aperture is great for low light. I prefer lenses with a wide aperture like this, because you need fast shutter speeds to freeze animals in motion. Plus, the lens isn't too heavy or big to carry. I'd like to upgrade to the second or third version some day [which both add Image Stabilizers, to help images stay sharp] but the most important thing for me is that the autofocus is fast." You have quite a big following on Instagram with well over 100,000 followers. How did you get such a big audience? "I've always just posted my favourite photos on there. I started to get noticed with my first fox photos that got shared by some of the Instagram accounts that feature other people's work [Ossi uses popular hashtags and hashtags associated with these accounts when he uploads his photos, which help these accounts to find his work]. When they shared my pictures, I got more followers. "Now, websites also share my photos and write articles about them. A few days ago, a website shared my photos in an article, and it went kind of viral [with 467,000 views at the time of writing]. I got around 15,000 new followers in three days." Do you compose with Instagram in mind, for example by placing the animal in the middle of the frame? "Yes. Recently, I have started to think about how the photo will look on Instagram because it's my main channel for sharing my photos. So I usually try to have the animal in the middle of the photo. I take both horizontal and vertical photos, but if I only think about Instagram, then the vertical shots are better. To keep my followers interested, I only share new pictures rather than just reposting old photos. All cute animals, such as fox cubs and other baby animals, work very well."